6. Personal Login Information. Certain features and areas of the Sites are available only with registration, login, such as Cook & Cook Law Firm, PLLC Member account number, and/or a paid subscription. If you are required to register and select a unique login and password (“Personal Login Information”), you must keep your Personal Login Information confidential, including taking appropriate measures to maintain the confidentiality, such as logging off and closing the Internet browser, especially when you are connected to the Internet through an unsecured network or when using a public computer. Your Personal Login Information is personal to you and you may not allow any third party to use it under any circumstances. is not liable for any harm caused by or related to the theft, misappropriation, disclosure, or unauthorized use of your Personal Login Information. You must contact the Cook & Cook Law Firm, PLLC immediately if you become aware of or believe there is or may have been any unauthorized use of your Personal Login Information, or otherwise wish to deactivate your Personal Login Information due to security concerns. 8. User Obligations. You warrant that you will abide by, without limitation, all applicable local, state, national and international laws and regulations with respect to your use of the Sites and not interfere with the use and enjoyment of the Sites by other users or with ‘s operation and management of the Sites. You will, at all times, provide true, accurate, current, authorized, and complete information when submitting information or materials on the Sites, including, without limitation, information required to be provided through an Cook & Cook Law Firm, PLLC Website registration form. If any false, inaccurate, untrue, unauthorized or incomplete information is submitted by you, reserves the right to terminate your access and use of the Sites. You warrant that you will not impersonate any other person or entity, whether actual or fictitious, when using the Sites, or defame or otherwise harm any party through your use of the Sites. 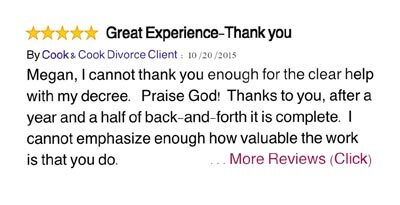 Additionally you agree to abide by the Cook & Cook Law Firm, PLLC Code of Conduct. 9. Proprietary Rights. The content of the Sites includes, without limitation, (i) Cook & Cook Law Firm, PLLC’s trademarks, service marks, logos, brands, and brand names, trade dress and trade names and other distinctive identification (collectively “Cook & Cook Law Firm, PLLC Marks”); and (ii) information, data, materials, interfaces, computer code, datCook & Cook Law Firm, PLLCses, products, services, software applications and tools, text, images, photographs, audio and video material, including podcasts, and artwork, and (iii) the design, structure, selection, compilation, assembly, coordination, expression, functionalities, applications, look and feel, and arrangement of any content contained in or available through the Sites (the items identified in subsections (i) (ii) and (iii) shall be collectively referred to herein as “Cook & Cook Law Firm, PLLC Content”). Cook & Cook Law Firm, PLLC Content is the property of the Cook & Cook Law Firm, PLLC, its licensors, sponsors, partners, advertisers, content providers or other third parties and is protected by law including, but not limited to, copyright, trade secret, patent, and trademark law, as well as other state, national and international laws, treaties and regulations. The reproduction, transmission, distribution, sale, publication, broadcast, circulation or dissemination of any Cook & Cook Law Firm, PLLC Content by you, or by you through any other person or entity, is prohibited unless express written consent is separately obtained from the or the owner of such content if the is not the owner.  For reprints, contact the Cook & Cook Law Firm, PLLC. Any use of the Cook & Cook Law Firm, PLLC Marks without Cook & Cook Law Firm, PLLC’s express written consent is strictly prohibited. You may not alter, delete, obscure or conceal any copyright or other notices appearing in the Cook & Cook Law Firm, PLLC Content, including any such notices appearing on any Cook & Cook Law Firm, PLLC Content you are permitted to download, transmit, display, print, or reproduce from the Sites. 10. Responsibility for Use of the Internet and Websites and Exclusion of Liability. Use of the Internet and the Sites is solely at your risk and is subject to, without limitation, all applicable local, state, national and international laws and regulations. Unless expressly required by law, the does not guarantee the confidentiality or security of any communication or other material transmitted to or from the Sites over the Internet or other communication network. The Cook & Cook Law Firm, PLLC shall not be obligated to correct or update the Sites or the Cook & Cook Law Firm, PLLC Content and shall not be liable for omissions, typographical errors, or out-of-date information which may appear on the Sites. 11. No Legal Advice and Disclaimer as to Accuracy of Information. The information on the Sites and Cook & Cook Law Firm, PLLC Content are for informational purposes only, and is not legal advice or a substitute for legal counsel. The information contained in the Sites and Cook & Cook Law Firm, PLLC Content may or may not reflect the most current legal developments; accordingly, information on the Sites are not promised or guaranteed to be correct or complete, and should not be relied upon as such. As legal advice must be tailored to the specific circumstances of each case, nothing provided on the Sites or the Cook & Cook Law Firm, PLLC Content should be used as a substitute for advice of competent counsel. The materials on the Sites and Cook & Cook Law Firm, PLLC Content do not constitute legal advice and do not necessarily reflect the opinions of the Cook & Cook Law Firm, PLLC. 12. Third Party Information. The Sites may feature materials, information, products, and services provided by third parties. Any such information, including but not limited to articles, press clippings, opinions, advice, statements, services, offers or other information made available by third parties such as content providers and other users of the Sites are those of the respective third party and not of Cook & Cook Law Firm, PLLC or its affiliates. 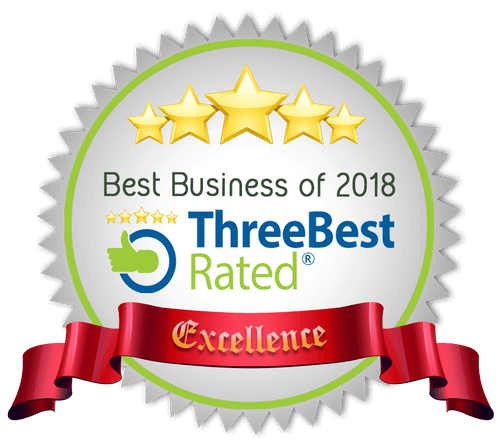 Cook & Cook Law Firm, PLLC makes no representation with respect to, nor does it guarantee or endorse, the quality, non-infringement, accuracy, completeness, timeliness, or reliability of such third party materials, information, services or products. 14. Advertisers. The Sites may contain advertisements. The inclusion of advertisements on the Sites does not imply endorsement of the advertised products or services. The Cook & Cook Law Firm, PLLC shall not be responsible for any loss or damage of any kind incurred as a result of the presence of such advertisements on the Sites. Further, shall not be responsible or liable for the statements or conduct of any third party advertisers appearing on the Sites. You shall be solely responsible for any correspondence or transactions you have with any third party advertisers. 16. Links to Websites, Content, Sharing of Content. Links posted by third parties to the Sites and/or Cook & Cook Law Firm, PLLC Content may not use the Cook & Cook Law Firm, PLLC trademark or logo and shall not suggest that Cook & Cook Law Firm, PLLC promotes or otherwise endorses any third party products, business relationships, services, causes, campaigns, Websites, content, or information. Any links to any portion of the Sites shall be the responsibility of the linking party. 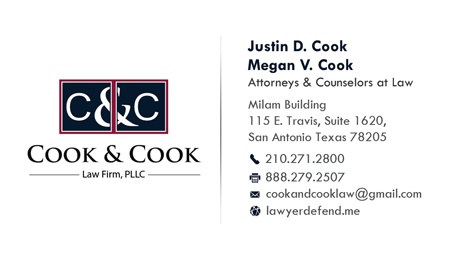 Cook & Cook Law Firm, PLLC reserves the right to require any linking party to disable or remove any link that violates Cook & Cook Law Firm, PLLC’s policies, rights or causes interruption or deterioration of Cook & Cook Law Firm, PLLC Content. Sharing of Content. You may download, copy or embed Cook & Cook Law Firm, PLLC Content and other downloadable items displayed on the Sites for personal use only, provided that you maintain all copyright and other notices contained therein. Copying or storing of any Cook & Cook Law Firm, PLLC Content for other than personal use is expressly prohibited without prior written permission from, or the copyright holder identified in the copyright notice contained in the Cook & Cook Law Firm, PLLC Content. Cook & Cook Law Firm, PLLC reserves the right to require any party sharing Cook & Cook Law Firm, PLLC content to disable or remove the content should its use violate Cook & Cook Law Firm, PLLC’s policies, rights or causes interruption or deterioration of Cook & Cook Law Firm, PLLC Content. 17. Warranties Disclaimed. THE WEBSITES AND CONTENT ARE PROVIDED “AS IS” AND “AS AVAILABLE.” NEITHER Cook & Cook Law Firm, PLLC, ITS AFFILIATES, SUBSIDIARIES, EMPLOYEES, OFFICERS, MEMBERS, OR TRUSTEES NOR ANY OF ITS AGENTS, REPRESENTATIVES, SUPPLIERS, ADVERTISERS, CONTRACTORS, PROMOTIONAL PARTNERS, OR LICENSORS (COLLECTIVELY “Cook & Cook Law Firm, PLLC PARTIES”) PROVIDE ANY EXPRESS OR IMPLIED REPRESENTATION OR WARRANTY OF ANY KIND, INCLUDING WITHOUT LIMITATION, ANY REPRESENTATION OR WARRANTY THAT (i) THE SITES OR Cook & Cook Law Firm, PLLC CONTENT, OR ANY RESULTS THAT MAY BE OBTAINED BY YOU, ARE COMPLETE, ACCURATE, RELIABLE OR NON-INFRINGING; (ii) ACCESS TO THE SITES WILL BE UNINTERRUPTED, TIMELY, SECURE, OR ERROR FREE; (iii) THE QUALITY OF ANY PRODUCTS, SERVICES, INFORMATION OR OTHER MATERIAL PURCHASED OR OBTAINED BY YOU THROUGH THE SITES WILL MEET YOUR EXPECTATIONS; OR (iv) Cook & Cook Law Firm, PLLC CONTENT WILL REMAIN UNCHANGED OR ACCESSIBLE ON THE SITES. ALL WARRANTIES, EXPRESS OR IMPLIED, ARE DISCLAIMED TO THE FULLEST EXTENT PERMITTED BY LAW INCLUDING, WITHOUT LIMITATION, ANY WARRANTY OF MERCHANTABILITY, FITNESS FOR A PARTICULAR PURPOSE, AND/OR NON-INFRINGEMENT OF INTELLECTUAL PROPERTY. 18. Exclusion of and Limitation of Liability. THE Cook & Cook Law Firm, PLLC PARTIES SHALL NOT BE LIABLE, AND DISCLAIM ANY LIABILITY, FOR ANY CLAIM, LOSS OR DAMAGE, DIRECT OR INDIRECT, INCLUDING, WITHOUT LIMITATION, COMPENSATORY, CONSEQUENTIAL, INCIDENTAL, INDIRECT, SPECIAL, EXEMPLARY OR PUNITIVE DAMAGES OF ANY KIND WHATSOEVER IN CONNECTION WITH, AS A RESULT OF, OR ARISING (i) OUT OF THE USE OF OR INABILITY TO USE THE SITES AND/OR ANY Cook & Cook Law Firm, PLLC CONTENT; (ii) FROM ANY INTERRUPTION IN THE AVAILABILITY OF THE SITES AND/OR Cook & Cook Law Firm, PLLC CONTENT; (iii) FROM ANY LOSS OF DATA AND/OR FROM ANY EQUIPMENT FAILURE; (iv) OUT OF THE PROCUREMENT OF SUBSTITUTE GOODS OR SERVICES RESULTING FROM ANY PROBLEMS WITH THE GOODS, CONTENT AND/OR SERVICES PURCHASED OR OBTAINED FROM THE SITES, OR TRANSACTIONS ENTERED INTO, THROUGH OR FROM THE SITES; (v) FROM UNAUTHORIZED ACCESS TO OR ALTERATION OF YOUR TRANSMISSIONS OR DATA; (vi) FROM STATEMENTS OR CONDUCT OF ANY THIRD PARTY ON THE SITES; (vii) FROM ANY DELAY OR FAILURE OF THE SITES ARISING OUT OF CAUSES BEYOND Cook & Cook Law Firm, PLLC’S CONTROL; (viii) OUT OF THE USE OF, REFERENCE TO, OR RELIANCE ON, THE Cook & Cook Law Firm, PLLC CONTENT; (ix) OUT OF ANY THIRD PARTY MATERIALS, INFORMATION, PRODUCTS AND SERVICES CONTAINED ON, OR ACCESSED THROUGH, THE SITES (x) OUT OF ANY CONTENT, MATERIALS, ACCURACY OF INFORMATION, AND/OR QUALITY OF THE PRODUCTS, SERVICES OR MATERIALS PROVIDED BY OR ADVERTISED ON THIRD PARTY WEBSITES; OR (xi) OUT OF ANY OTHER MATTER RELATING TO THE SITES OR Cook & Cook Law Firm, PLLC CONTENT. 19. Exclusions permitted by law. SOME JURISDICTIONS DO NOT ALLOW THE EXCLUSION OF CERTAIN WARRANTIES OR CONDITIONS OR THE LIMITATION OR EXCLUSION OF LIABILITY FOR LOSS OR DAMAGE CAUSED BY NEGLIGENCE, BREACH OF CONTRACT OR BREACH OF IMPLIED TERMS, OR INCIDENTAL OR CONSEQUENTIAL DAMAGES. ACCORDINGLY, ONLY THE ABOVE LIMITATIONS IN SECTIONS 17 AND 18 WHICH ARE LAWFUL IN YOUR JURISDICTION WILL APPLY TO YOU AND ‘S LIABILITY WILL BE LIMITED TO THE MAXIMUM EXTENT PERMITTED BY LAW. 29. The Cook & Cook Law Firm, PLLC provides opportunities for user interaction within its Sites and social media profiles on sites such as Google Plus, Facebook, Twitter, LinkedIn, and various blogging sites. On those social media profiles, content and links to other Internet sites should not be construed as an endorsement of the organizations, entities, views or content contained therein. The Cook & Cook Law Firm, PLLC is not responsible for content or links posted by others. The Cook & Cook Law Firm, PLLC retains the right to remove any content for any reason, including but not limited to, content that it deems threatening, demeaning, profane, obscene, a violation of intellectual property rights or privacy laws, off-topic, commercial or promotion of organizations or programs, or otherwise injurious or illegal. The Cook & Cook Law Firm, PLLC also retains the right to ban or block a user from posting on Cook & Cook Law Firm, PLLC social media profiles without notice for a pattern of inappropriate postings or as it deems necessary. All user content must comply with the Cook & Cook Law Firm, PLLC Code of Conduct. You acknowledge, consent and agree that the Cook & Cook Law Firm, PLLC may access, preserve and disclose your account information and the User Content you have posted by Users of the Services if required to do so by law or in a good faith belief that such access preservation or disclosure is reasonably necessary in the sole opinion of the Cook & Cook Law Firm, PLLC to: (a) comply with legal process; (b) enforce the TOU; (c) respond to claims that any Content violates the rights of third parties; (d) respond to your requests for customer service; or (e) protect the rights, property or personal safety of the Administrators, its Users and the public.